Mark your November and December calendar pages: Curbside leaf pickup dates have been announced by the Darien Department of Public Works, and getting your leaves to the curb is easier than getting them all the way to the dump. Here’s the announcement (we’re posting this in Darienite.com’s events listings and we expect to republish the announcement closer to the pickup dates). —Wednesday, Nov. 7, south of railroad tracks. —Wednesday, Nov. 21 — south of railroad tracks. —Wednesday, Dec. 5 — south of railroad tracks. Leaves will only be picked up if bagged and bags are made of paper. Loose leaves or leaves in plastic bags will not be collected. Please check your local hardware or big box store and supermarket for availability. Some paper bags are not marked 100 percent biodegradable. We will collect paper bags that are commonly purchased from suppliers such as Home Depot, Lowes, Rings End Lumber or other supplier provided bags are obviously made of paper. Dates listed are start dates. Bagged leaves should be at the curb by 7 a.m. on the first morning of the date listed. Leaves will be collected on public roads only. Residents of private roads should make their own arrangements for leaf collection. Residents with proper permit may also dispose of leaves at the Town of Darien Transfer Station [also known as the Recycling Center and the Dump). The above schedule is subject to minor variations due to the volume of leaves encountered, snow storms, or other unforeseen circumstance. No other information will be available regarding specific leaf pick-up times. We appreciate your patience. For information, call 656-7346 or visit us online. Town officials have scheduled repair work for a sewer that broke sometime before early Friday morning, with crews working overnight from 7 p.m. Tuesday to Wednesday morning at the intersection of the Post Road and Garden City Road. The Darien Department of Public Works has issued this announcement: The Town of Darien Department of Public Works will repair a sewer issue on the Post Road at the intersection of the Post Road and Garden City Road. The Town of Darien Department of Public Works will pick up leaves according to the schedule below. 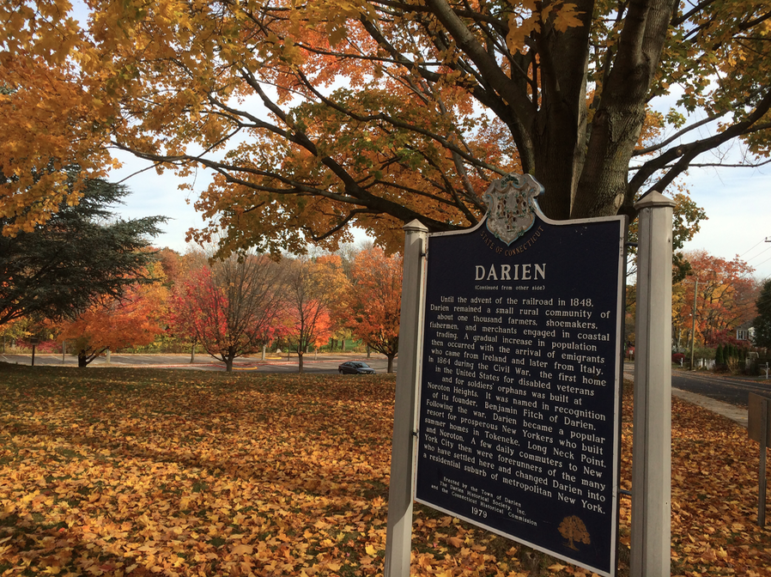 __________ — an announcement from the Darien Department of Public Works __________ Pick-up # 1: Monday, Oct.